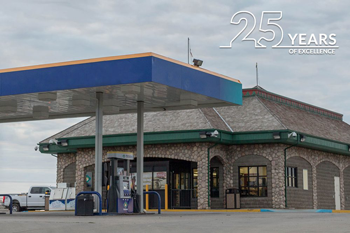 Guests receive a 25¢ per gallon discount on gas or diesel. Platinum Knight Club members receive an extra 20¢ per gallon discount for a total of 45¢ per gallon discount. Elite Knight Club members receive an extra 30¢ per gallon discount for a total of 55¢ per gallon discount. Maximum of 25 gallons per fill.